Create your team’s showcase and style it in unique and gorgeous way in a moment. Place shortcode on any page or post and it’s done! 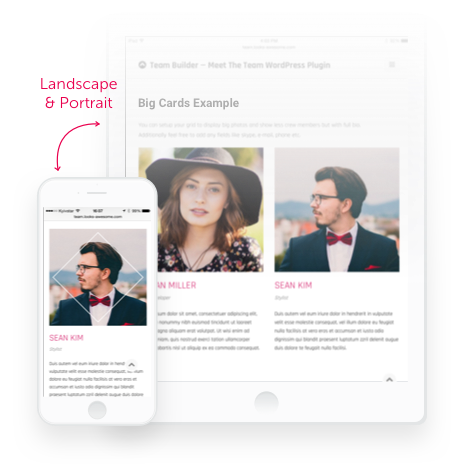 With Team Builder plugin you can showcase not only your team but any sort of things based on grid you can imagine. Enjoy beautifully crafted pre-defined templates. 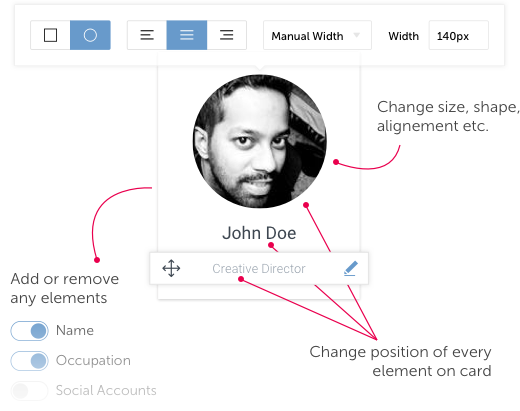 Put your team into grid, table, slider or even widget. Change almost any aspect including colors, typography settings, width, gaps, margins, whatever! Build and style your teams on the fly with incredible handy drag & drop admin builder. Responsive support is a must nowadays. Team builder looks and acts great on your mobile device. Store employees as contacts with full data like phone, e-mail, social accounts etc. Add to multiple teams if you wish. With a little imagination you can find plenty of use cases. Watch the demo for more examples. Have you checked live demo page already? Do it now or continue scrolling to learn more. With the Team Builder you get unbelievable freedom on design customization. Basically it’s possible to build any layout because you can both style and re-arrange any blocks. It’s easy to turn On/Off any element on card, drag it to desired place, change margins, make new style etc. You’ll love that handy and powerful admin builder. Play with it and you’ll find unexpected design solutions for your WordPress website! 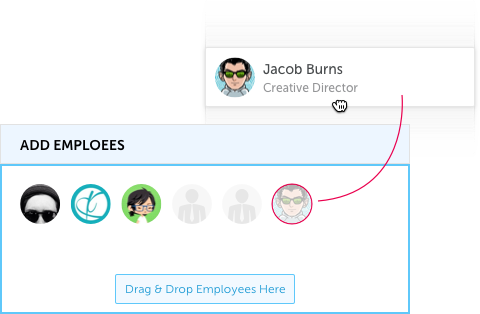 Team Builder is easy to manage your employees, teams and style them on the fly. Drag & Drop interface allows to create new teams and craft unique design for them very quickly. Just drag and drop crew members to all teams or subdivision you need. Then place shortcode on your page and that’s it! Basically you can build whole page using Team Builder only. Just use different templates and construct varied and interesting layout of your website. Layouts of Team Builder adapt to screen size and keep your team looking good on mobile devices. Grid or Slider view are flexible and morph by size and items per row. You’ll get always legible and nice looking teams as on desktop as on tablet/smartphone. Keep experiment with browser window’s width or check it out on mobile. Thanks for leaving feedback and sharing your thoughts with us. It helps us improve Team Builder so we can add all the most useful features to fit your needs. The only thing that is better than this great plugin, is its support! Hyper flexible: the support is accurate, fast, responsive, all the answers are given. For $20 get an original team page and perfectly coded. Don’t forget to check Live demo of Team Builder. Meantime you may find interesting to checkout other premium solutions for WordPress.